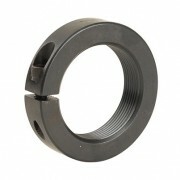 Threaded shaft collars are not very common but we carry a range of these collars in the most common sizes ready to go. 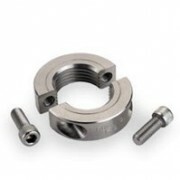 Clamp style collars with threaded bores are also available. Threaded collars provide axial holding power superior to smooth bore collars, while offering easier installation and adjustment than solid ring locking devices.